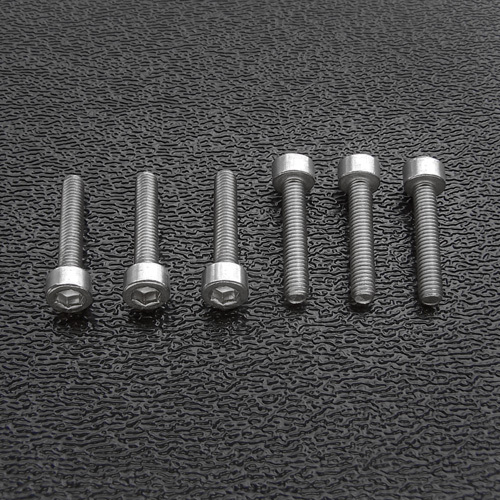 Stainless steel intonation screws for Import Fender® Stratocaster®. A little different than the typical Phillips round head intonation screws. These are adjusted with an Allen wrench. These won't rust or corrode like the standard steel screws that come with your Strat.